Bed bug removal treatments are quite time intensive and will involve a thorough survey to identify levels and locations of infestation. Advice and pre-treatment preparation by the occupier is essential. Most properties, to ensure you gain 100% bed bug control, will require a minimum of three visits. Every room in the property must be treated to ensure a successful treatment due to the nature of the insect. Bed bugs can be found in any bed in any property. The parasitic insects can be passively transported in all manners of ways, through second-hand furniture, antique items, as well as physically by person. 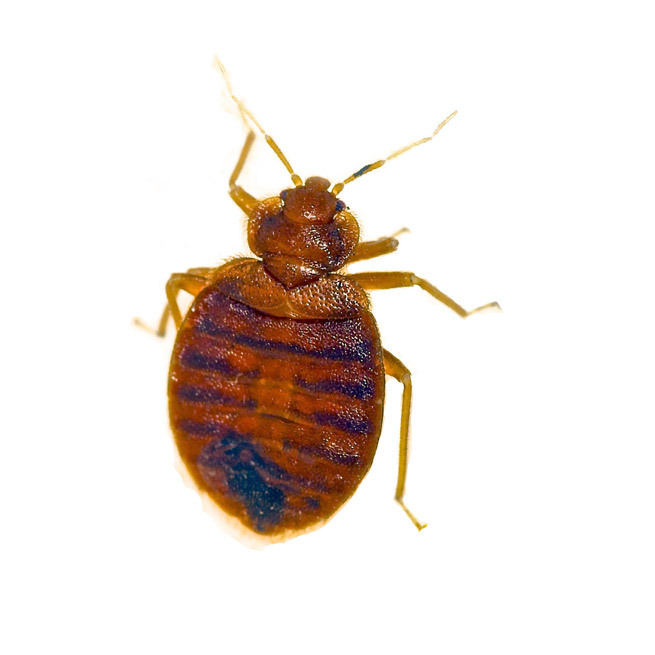 Bed bugs are a risk to public health pest and should be treated as soon as they are sighted. They have the ability to increase their population size very quickly. One or two-bed bugs can quickly become hundreds by which point a serious infestation will have taken hold. We recommend bed bug removal through a professional treatment be carried out. This insect is very difficult to treat and DIY tactics will rarely solve the problem. Bed bugs are a pest on the increase in the UK. After years of decline and near extinction in this country, they have experienced a resurgence. Low-cost air travel has allowed them to hitch a ride from other countries and they are now growing in numbers, especially in our towns and cities. Contrary to popular belief bed bugs are not only found in dirty, unclean environments. They also thrive in clean bedding and can be a particular problem in hotels who host a lot of international travellers. Bed bugs will only emerge from these hiding places when they want to feed, which is generally at night time while you are sleeping. The adult bed bug is easily visible to the naked eye as it grows to about 6 mm in length, although the nymphal stages and eggs can be very hard to see. Simply by throwing away infested furniture such as settees and beds or carpets will not cure the problem as the bugs can hide deep within the fabric of the building. We would never recommend throwing the furniture away. It is always far better to treat them rather than to move the infestation around carrying furniture in and out of buildings. • Bites on the parts of your body that could be exposed when sleeping, including face, neck, arms and shoulders. Although they can be anywhere on the body, they are normally found on the upper body, and are very similar to flea bites but will produce more of a raised redden area. • Small spots of blood on your sheets, which is known as spotting. Finding blood on your sheets valances and pillowcases are a result of the bedbugs feeding at night time and piercing your skin. • Dark or rust coloured spots on bedding, mattresses and walls. This is bed bug excrement and a sure sign you have a bed bug problem. • Bed bugs will give off an unpleasant musty odour from their scent glands. The smell is more than strong enough for humans to detect and is a big giveaway of an infestation. A very common way of picking up bed bugs is when travelling. Make sure that your belongings and clothes are washed at high temperatures and try and keep your suitcase and clothing away from the bed area. When you come back, if possible, store your suitcases in cooler areas such as the loft or garage. A nice warm airing cupboard or position under the bed is ideal for bed bugs to thrive. Regular cleaning, especially vacuuming can help minimise an infestation. Pay close attention to your bed, ensuring areas such as the headboard and frame are well cleaned. Reducing clutter will also help as it means bed bugs have fewer places to hide out. If you think that you have a problem with bed bugs then get in touch with us for a free, no obligation quote.